Cure On Plus- Freedom from all joint pains! • Reduces Pain as it contains rare herbs. 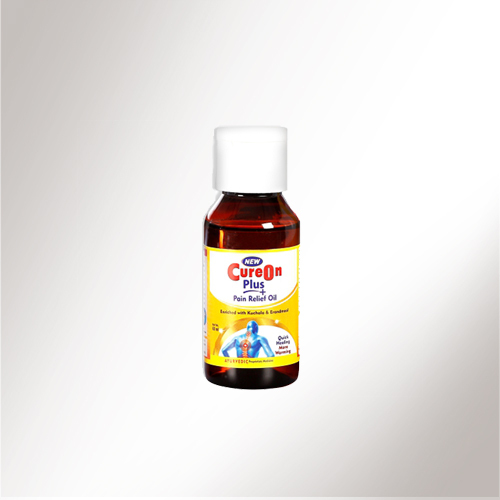 Cure on plus oil is Sesame based Ayurvedic oil which is easy to apply. It is useful for immediate relief from pain on the local application that has a deep penetration & fights pain at the source which also gives long lasting relief to chronic pain & very effective in Osteoarthritis and Rheumatoid arthritis. Cure On Plus – Roll On relieves pain instantly and can be used for Joint-pain, Backache, Muscular pain, Body-ache, Sprain and Stiffness of joints and muscles.